·Always place mat on a dry surface before use. ·The digital images we display have the mostaccurate color possible. However, due to differences in computer monitors, wecannot be responsible for variations in color between the actual product andyour screen. ·Above size for manual tile measurement, dueto personal measurement technique is different, there may be 1-3 cm error ofthe physical. 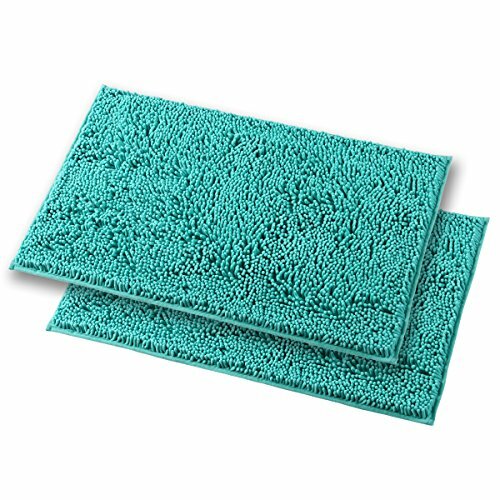 We design this product mainly for thebathroom, When you bathe out, step on the rug, you will feel very comfortableand it will dry your feet quickly. Cause we chose the microfiber material andwe use eco-friendly TPR material for the back surface. It has better slipresistance and no odor. We offer 3 sizes and 8 colors combinations foryou to choose and hope you can get the favorite products. Mayshine is alwaysconcentrating on the research and develop of our products in order to let youenjoy a happier and more comfortable life. If you have any questions about this product by MAYSHINE, contact us by completing and submitting the form below. If you are looking for a specif part number, please include it with your message. nuLOOM Spa Blue Hand Hooked Marrakech Trellis Area Rug, 3' 6" x 5' 6"